My window has better clothes than I do! My window has the most amazing new dress and I just had to share it with y’all. She’s been naked for quite a while now and every time I looked at her I felt embarrassed by her exposed frames and glass. Winter has been approaching and the lack of any window coverings made the house feel even colder and open to the cold winter nights. Finally I decided to do something about it. Choosing curtains can be such a pain, having those pushy sales people around to your house with their little folders of fabric and unwanted opinions. I have done this exercise so many times and I was not looking forward to wasting hours getting multiple quotes and still gasping with shock every time I finally received one back. This time I decided to try an online service, I am using online shopping more and more these days so I thought it was worth a try. I looked at a few different sites and read lots of reviews and settled on Pret-a-Portiere. 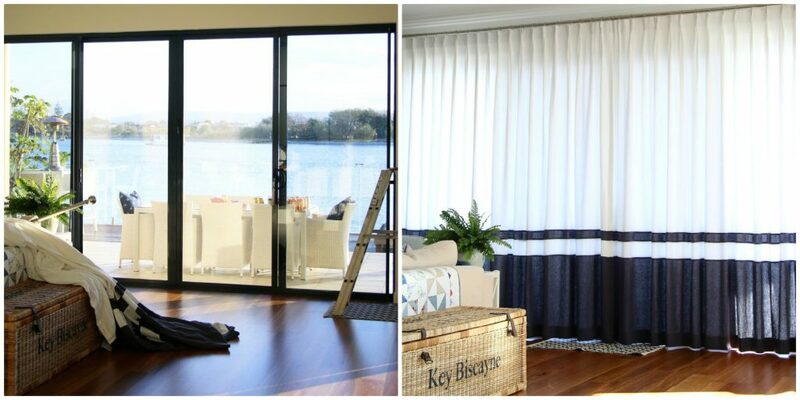 They supply made to measure curtains and drapes that are easy to buy and install yourself. They also supply to interior stylist and decorators worldwide. I popped over to their website armed with my window dimensions and Pinterest ideas. I knew I wanted linen, I am currently having a love affair with anything and everything linen and they have a whole section dedicated to linen drapery, I was happy to see so many options available. It was a hard decision, there is so many styles to choose from, but I decided to go with the Soho design with the double bottom banding. I have seen this type of curtain a few times in my favourite designer spaces and was excited when I realised I could achieve this look in my own home. Next step is to choose your header style and colours, again, such a hard decision as there is so many different combinations to choose from. I went with a Double Pinch Pleat and 2.5 x fullness. I chose Snow and Mountain Blue as my colours. When you have made all your selections you will be given a quote right then and there, none of this – ‘give us all your details and then we’ll e-mail you stuff’, they give you a quote immediately. 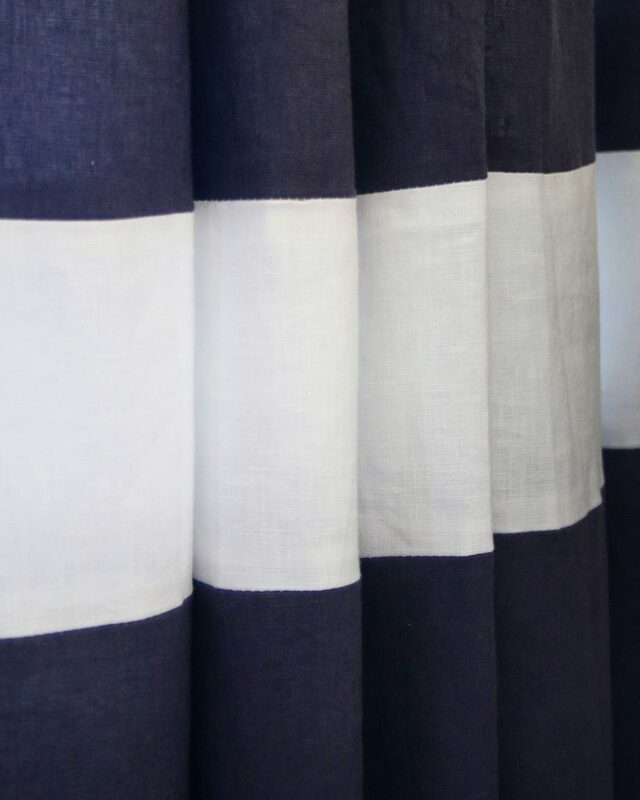 You can chose to ‘add to cart’ and get your curtains underway or you can go back and try a different selection. They only took a few weeks to arrive and I was completely blown away by the quality. I have had custom curtains made before, but these are amazing. I’m not sure if it’s the beautiful weight of the linen, the precise workmanship or the fact that they are just gorgeous, but I am totally in love with them. I put hubby to work hanging them, which is really quite easy and I probably could have done it myself, but he was home and I know how much he loves me ordering him around. My window is no longer naked, her linen dress is much more fabulous than anything in my wardrobe and the whole space finally feels finished and cosy. 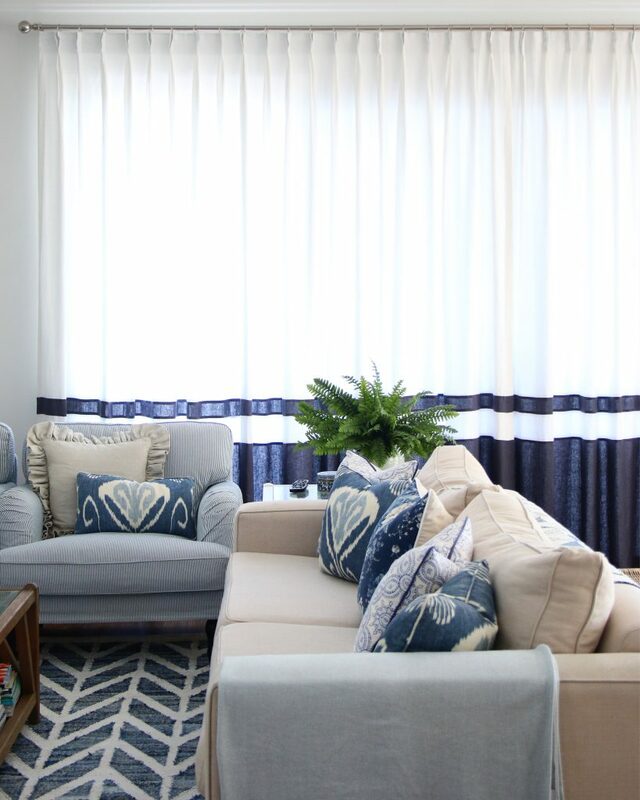 Curtains make such difference to a space, they make it feel complete. I love closing them at night to keep the warmth in and I’m sure they will be great in summer to keep the afternoon sun out. And who doesn’t love the glow of filtered light through linen curtains, it’s just dreamy! 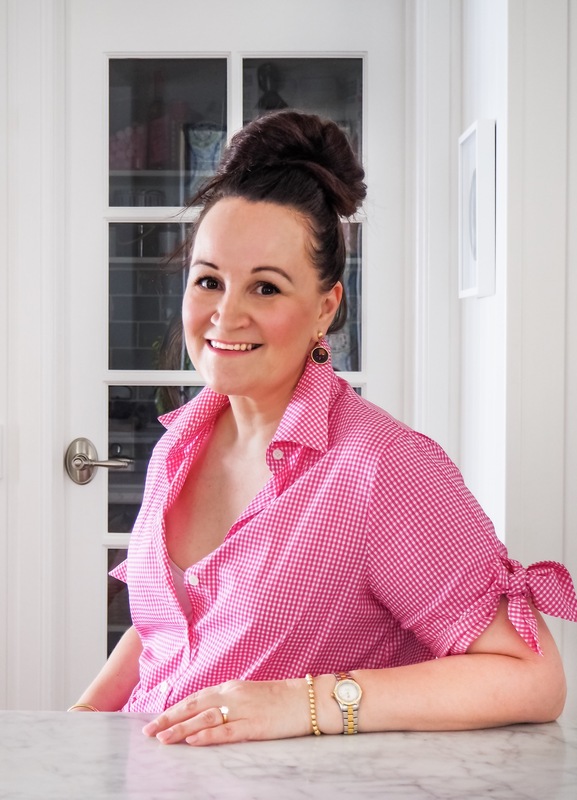 If you want to have a play with some options for your own home, grab a tape measure and head over to Pret-a Portiere and get some instant ideas, advice and prices! But here’s the bit you’ve all been waiting for …. I have some curtains to giveaway to one very lucky home!!! You may choose from the Soho (same as mine) or Madison range in any colour combination up to the value of $1100, I know … you don’t want to miss this one!!! We’d love it if you follow Pret-a-Portiere and myself on Instagram here and here, and please come and make friends on my blog mailing list. 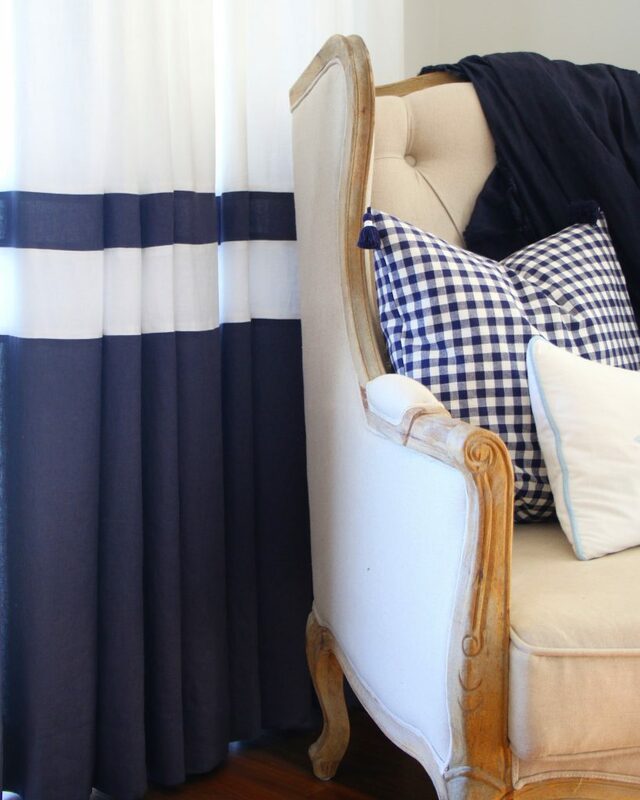 Leave a comment here or on Instagram telling us where you need new curtains. Check back here next week to see if you’re the winner, and don’t worry if you’re not because I will have something special for you anyway – a code to receive 20% off your purchase from Pret-a-Portiere! HERE IT IS – MLL20 for 20% off!!! There’s no need for naked windows anymore! *Competition is open worldwide. Entries close at 11:59pm on Friday 28th July 2017. Winner will be announced Sunday 30th July 2017. No purchase is required. Entrant must answer the question, the winner will be chosen by Pret-a-Portiere. ** UPDATE – WE HAVE A WINNER!!! As chosen by Alice from Pret-a-Portiere the winner is Michele.J. CONGRATULATIONS! Alice from Pret-a-Portiere will be in contact to organise your prize. Now Miss Haley I have the same issue as you a naked window, worse in is in my bedroom ( I do have blinds in case you were thinking). 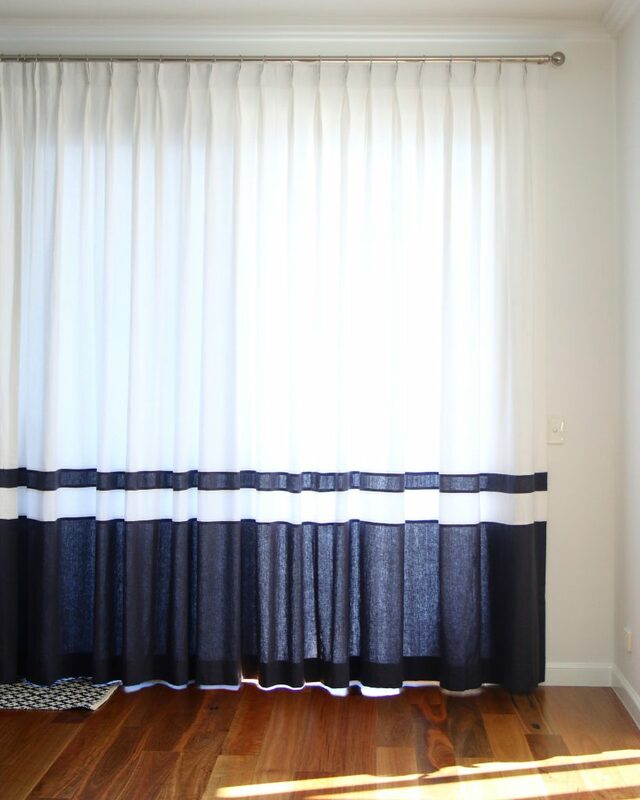 I would absolutely love (need) these gorgeous curtains to make my room cozy because at the moment it is a cold ice box with naked yucky windows. Hello again Hayley I am sooooooo sorry I misspelled your name. Must learn to read before I press send. OMG I love love love these!!!! I have a whole house that at the present time has no window coverings. New build ready to be finished in about 5’weeks! Oh my Hayley these are gorgeous!! And just what my lounge room needs. We have blinds but it still looks so bare and unfinished and I’ve been wanting curtains for so long. I’ve never been able to find the ‘right’ covering but these look perfect! So after spending all our money on the deposit we got the cheapest blinds we could afford… and we’ve never done a thing since. We have 3 large panels in our living areas and I’ve always thought that curtains would soften the room so much! We have been in our place for 9 years now (our first home). Seeing as we’d just put all our money into the deposit we didn’t have much left so we bought the cheapest blinds we could find, and never got back to them. We’ve got 3 large windows in our living room and I’ve often thought some drapery would really soften the space. These are so beautiful Hayley! We have just moved into our forever family home and used all our savings to secure it. I now have a living room window that looks directly into my neighbours yard (no more warming my tooshie in front of the fire!) I would love exactly what you have chosen, timeless, classic and exactly what I’m after. These are so beautiful and a would be the finishing touch for our almost sorted lounge room. I’m sure life is better if even one room is actually finished! I love how you describe your curtains as a dress – they sure are pretty.